When I first talked with my wife, Rena Krüger, nee Hetzel, about her ancestry she expressed the wish to visit Schowe in what is now Serbia. She talked about how her parents and grandparents had to leave the village in 1944 and their odyssey through the various camps in Yugoslavia, among them the infamous “Lager Jarek”, before ending up in post-war Germany. Her family was traumatized and nobody, except her grandmother Rosina Ziwich, nee Weber, talked much about their experiences. We had a photo of her grandfather’s house, Daniel Ziwich, a two-story house and store on what turned out to be the old “Seil-Gasse”. In preparation for the trip we made use of the resources on the Schowe pages on http://www.dvhh.org. We visited the “Haus der Donauschwaben” in Sindelfingen and the “Donauschwäbische Zentral-museum” in Ulm. We borrowed a copy of the “Heimatbuch Schowe” (1961) and the "Gedenkschrift 200 Jahre Schowe" (1986) from the library of the "Haus der Heimat" in Stuttgart. We looked at current maps of Schowe on Google Maps and Google Earth and could locate the house of her grandparents and make the connection between old and new street names. Just days before the trip, we contacted Ludwig Keck for recommendations and established telephone contact with Adam Paul, apparently the last remaining Donauschwaben resident in Schowe. In mid- June, we flew to Belgrade and stayed overnight in the city. The next morning we rented a car to drive the 70 miles to Ravno Selo. The roads and traffic conditions were excellent and we turned off the motorway near Zmajevo (Altker) and approached Ravno Selo from the east. The sky was overcast and gray. We drove through the village on the main roads, turned left into the former Seil-Gasse and proceeded to the village cemetery at the very bottom of the Seil-Gasse. We had already noticed on Google Earth that the old German cemetery at the eastern entrance of town was completely overgrown with brushes and small trees which looked impenetrable. We slowly walked up Seil-Gasse, looking at the old houses and observed how beautiful they must have been and how they still were adorned with the names of the former owners and the year in which each of them was built. We spent quite some time outside Rena’s ancestral home, looking at it from all accessible sides, observing that the window frames were still the same but that the road in front was now at a higher level than on the old photo. We saw mulberry trees with fruits and saw and smelled the flowering linden trees which her grandmother had talked about. 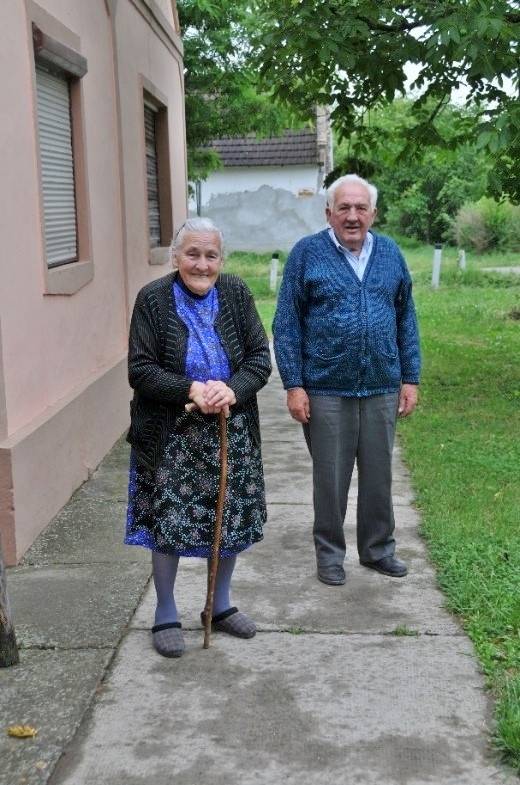 When walking along a small connection road between the former “Seil-Gasse” and “Kleinegasse” we encountered a local Serbian gentleman who asked us what we were looking for. 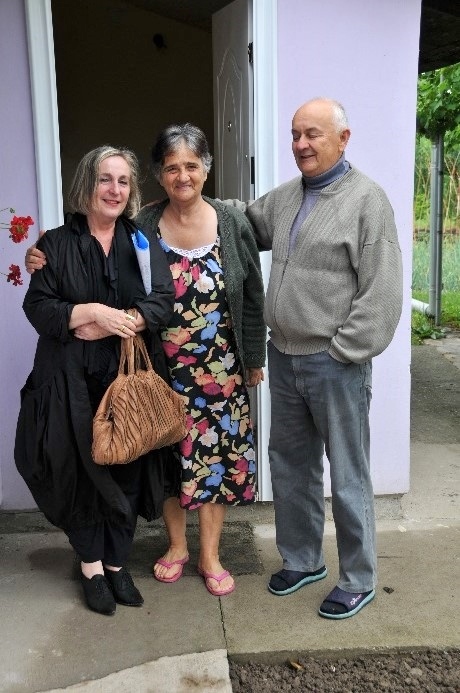 As it turned out, Milan Popov was a former neighbor of the Ziwich family and remembered Rena’s family from the days before the Germans were expelled. He invited us into his house and offered coffee while Rena and he talked about their respective memories. We pulled out our old photos of Rena’s parents and grandparents. His wife who is from Montenegro and I were just listening. Those were very moving moments and we parted company with tears shed on both sides. We walked around the block and crossed over to the Jegrička looking at the water that flows through the village unchanged, then and now. Next on our schedule was a visit to the family of Adam Paul which Ludwig Keck had recommended as a possible contact point. We were greeted with open arms by the two elderly residents. 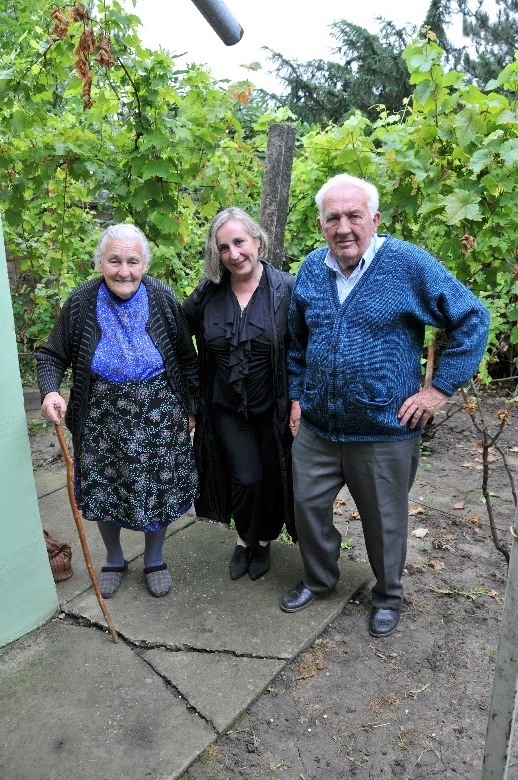 They live in a typical small house with a garden in which they grow vegetables for their own use and a few vines. We sat down in their kitchen and talked about life then and now. They pulled out their photos of the old days, their copies of the Heimatbuch, and we pulled out our photos once again. It turned out that Adam Paul had been in school with one of Rena’s mother’s cousins. We spent a good two hours together talking, laughing, and remembering. Adam and his wife talked about life in Yugoslavia under Tito and life in Serbia today, relating how difficult it is to get by on a small pension. They talked about their children and their partners and life in general. They related that at one time they had applied to leave Yugoslavia for Germany but had decided to stay. Until today they contemplate whether this was a good decision. A memorable quote from our visit was that they had banished the memories of the time after the expulsion and the time in the camps from their memory because it had been just too horrible. After almost three hours we finally parted company and the two thought we were leaving much too early, there was so much more to talk about. Maybe there will be a time to return to Schowe to see them once again. 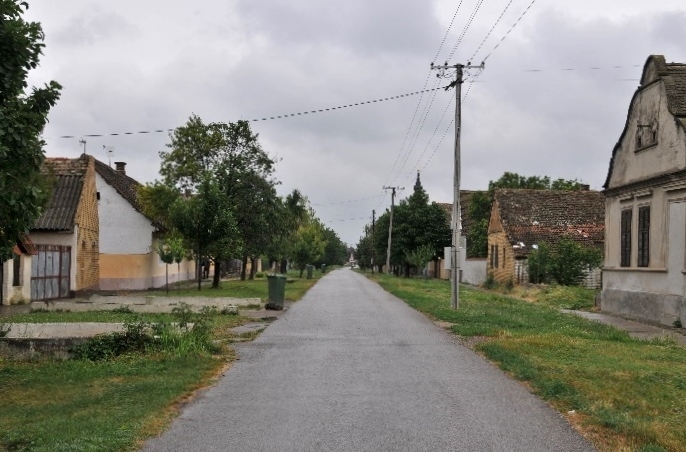 On our way back we drove through the village and took in the overall impression of the many old houses which are there and still form the character of the new Ravno Selo. Many of the houses look the same as they must have looked in 1944 – then they were intact and in good condition. Now they look neglected and seem to need a paint job, at a minimum. The two German churches in Schowe have long been destroyed and there are no traces left of them or the hemp factories outside of town. We left Schowe in the middle of the afternoon and drove in direction Novi Sad, where we had booked a hotel for the night. On the way we took a small detour through Jarek (now Bački Jarak). 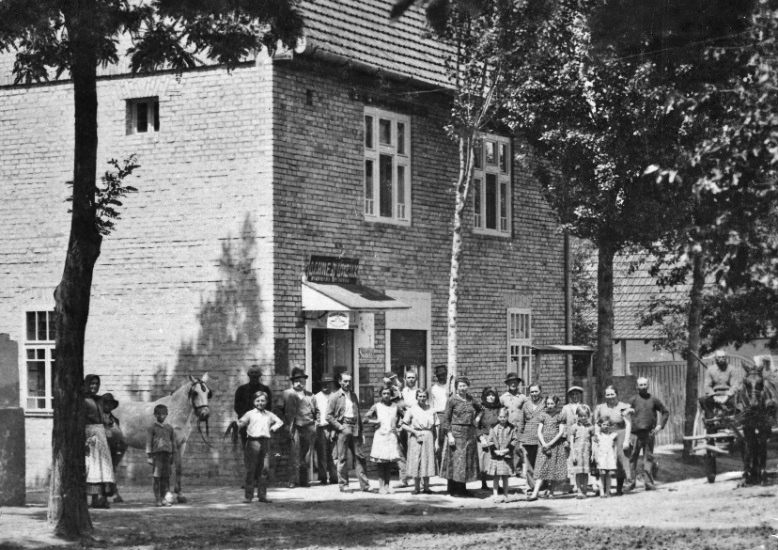 But except for the many houses built in the Donauschwaben style all traces of the former inhabitants have been eradicated. We spent the night in Novi Sad (Neusatz) and used the time in the next morning to explore this old city on the Danube. The character of the old section of town is still reminiscent of the Austro-Hungarian Empire. We went through the center of town, visited the Old Catholic church, and sat on the bank of the Danube. For Rena this was of special interest because here her grandfather had come to do business, here her mother had probably shopped for beautiful clothes, and here her aunt had gone to high school. The highlight of that day was lunch at a local restaurant which served goulash with bread dumplings. 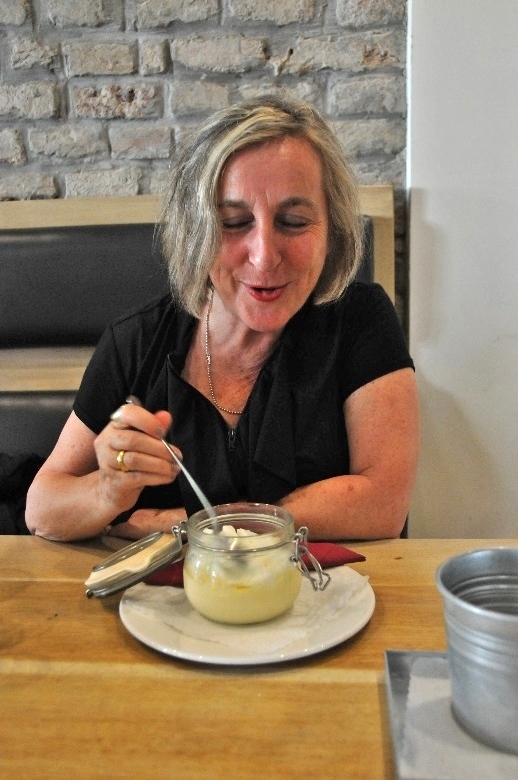 For desert we had “Schneenocken” (egg whites beaten with sugar and vanilla) on vanilla sauce, just like Rena’s mother used to make for her on her birthday! In the afternoon we drove on to Belgrade from where we left next morning to fly home. The preparation of our journey and our discussions during and after the trip caused us to get more familiar with the history and fate of the Donauschwaben. Interestingly enough, this week the local movie theatre at Tuttlingen featured a documentary about the Donauschwaben in which among others the life of the Academy Award Winner Albert Mayer and the Donauschwaben community in L.A. were highlighted. And of course, we also got more acquainted with the history of Serbia through the last 100 years, the role of that state in the WWII during the Kosovo war, and the role and state of Serbia in Europe today.